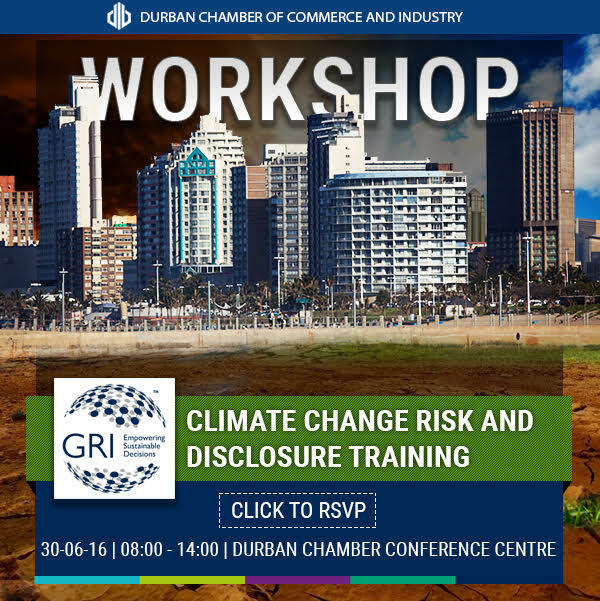 The Durban Chamber of Commerce and Industry invites you to a workshop on Climate change risk and disclosure training. 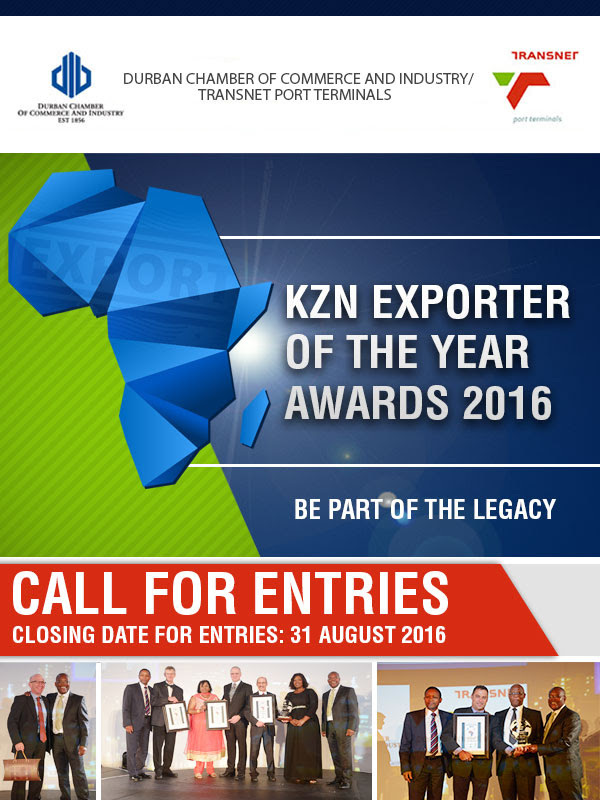 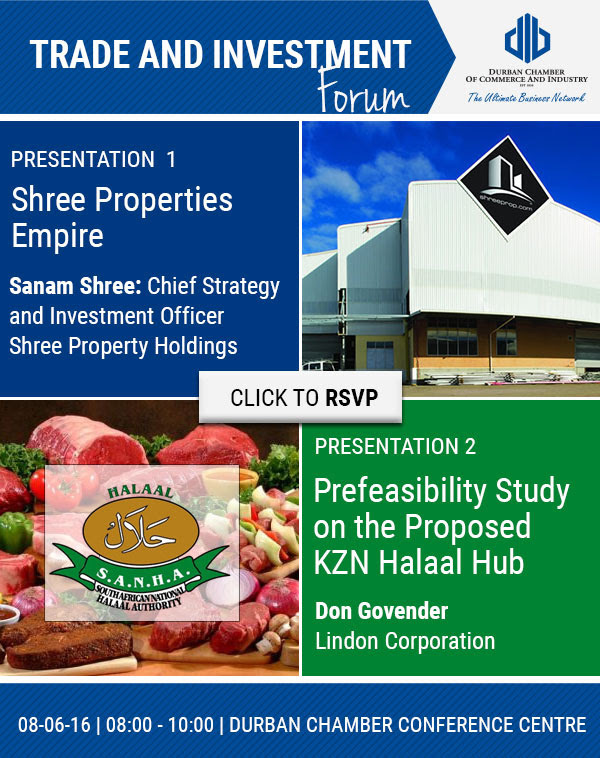 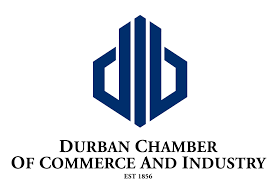 The Durban Chamber of Commerce and Industry invites you to two presentations by the Trade and Investment Forum. 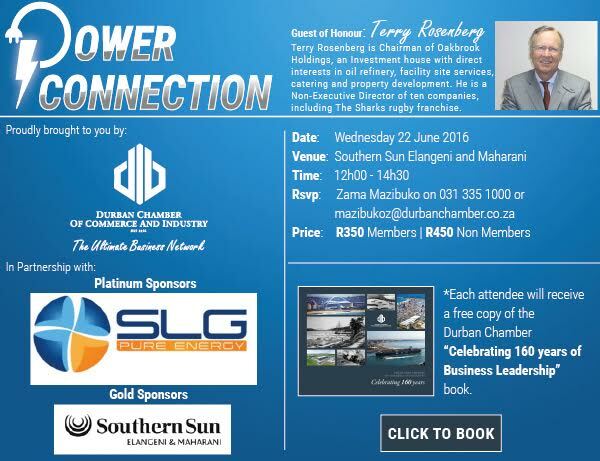 The Durban Chamber of Commerce and Industry presents Power Connection with Terry Rosenberg. 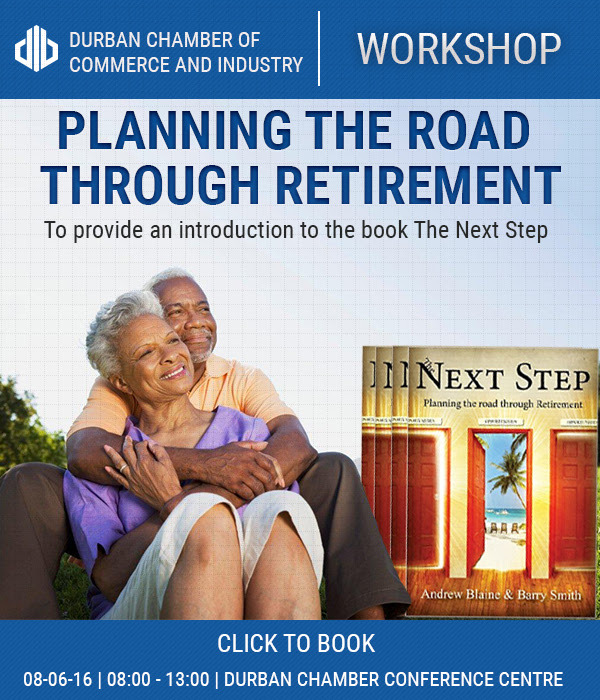 The Durban Chamber of Commerce and Industry presents a workshop and seminar on retirement. 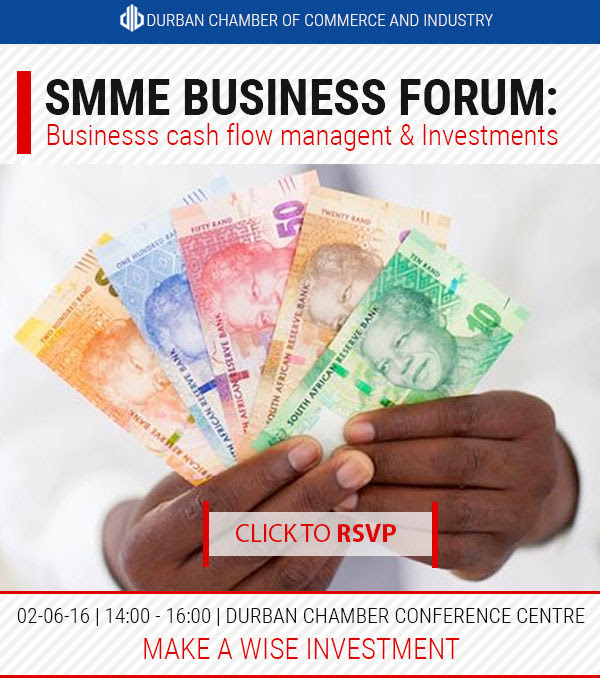 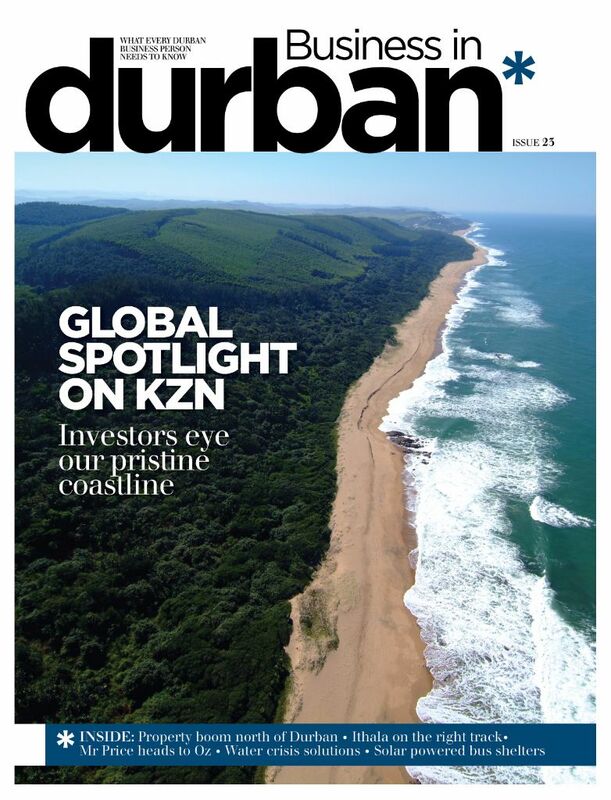 The Durban Chamber of Commerce and Industry presents a forum on business cash flow and investments. 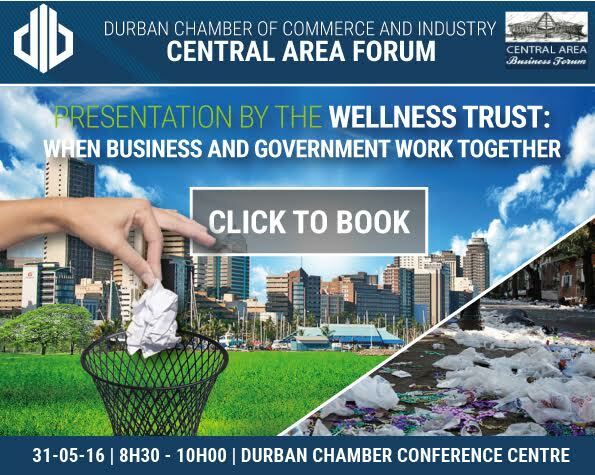 Presentation by the Wellness Trust, when business and government work together. 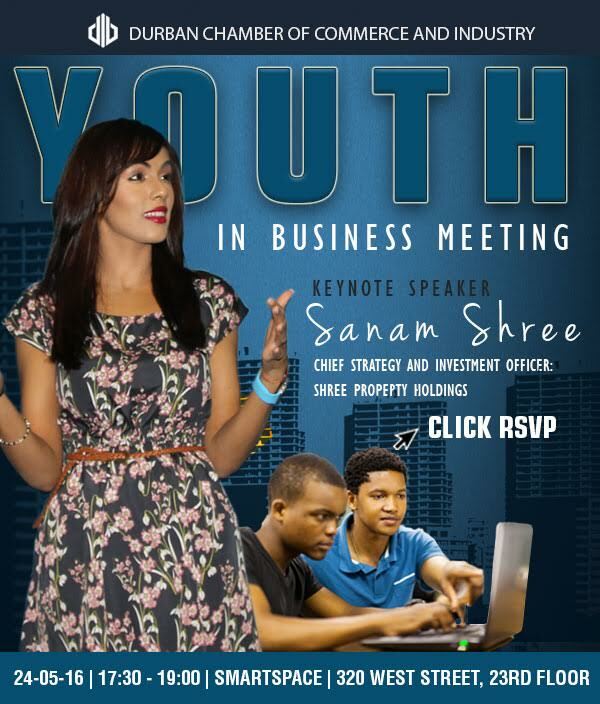 Join the Durban Chamber of Commerce and Industry for our inaugural Youth In Business Meeting at the newly established SmartSpace. 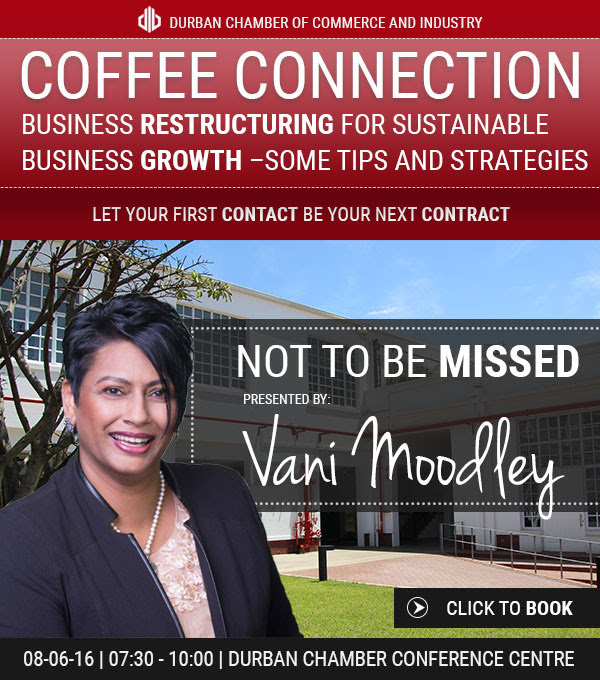 Tips and strategies for business restructuring for sustainable business growth.